Toastmasters Speeches: Speaking After Dinner-Sample Speech2, "My Message On Your Wedding Day"
Speaking After Dinner-Sample Speech2, "My Message On Your Wedding Day"
It’s Viviene’s Wedding Day and she has invited her Toastmaster friends as guests. The Speaker will deliver a speech right after the dinner at the Wedding Reception in Henlin Tomato and Cheese. What do you think is the most exciting part in the wedding? They say that the true excitement in a wedding isn’t actually the wedding itself but in the preparations leading to the wedding and this could be the months, weeks or days before the wedding itself. Would you agree? Activities like reserving for the church, picking the menu for the reception, picking the right design and motif for the bridal entourage. Aren’t those exciting? And then, there is the bridal shower. (face Viviene) "Viviene, did you have a bridal shower? And for the guys, it is called the? 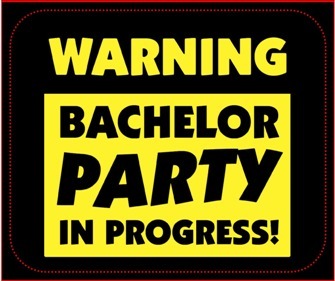 Yes, the bachelor party. And guys, please don’t drink too much alright?" I had an older cousin who was about to get married. His name is Rico and his barkada setup a bachelor party for him. You do know what happens in a bachelor party right? Alright, so they convinced him to be there. 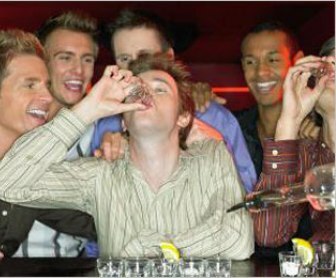 Now, the bad news was the bachelor party was at the day just before his wedding. And the wedding was at 8 in the morning. My cousin enjoyed the bachelor party very much. They started drinking at around 4 pm and were were still drinking up to 4 am, the following day – HIS wedding day. At 6 am, he couldn’t be woken up. At 8 am, he had to be dragged by my other cousins to take a quick shower and dress-up. In short, he was late for the wedding. 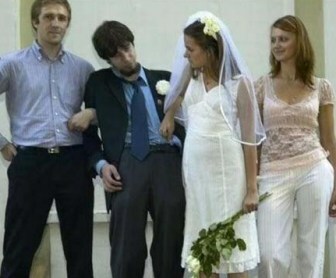 Rico kept quiet for most of the time at the wedding. It was probably due to his hangover from the previous night’s celebration. And then the part on the exchange of wedding vows came. The priest and the couple stood up. The priest turns to Rico’s bride. Her name is Michelle. The priest tells Michelle: "Do you, Michelle, take this man, Rico, to be your lawfully wedded husband, to have and to hold, in sickness and health, to love, honor and obey, in good times and bad, for richer or poorer, keeping yourself solely unto him for as long as you both shall live?" The sacristan gives the microphone to Michelle. The beautiful bride Michelle sweetly smiled and said “I do.” Well, so far so good. Now the priest turns to Rico and asks "Do you, Rico, take this woman, Michelle, to be your lawfully wedded wife, to have and to hold, in sickness and in heath, in good times and bad, for richer or poorer, keeping yourself solely unto her for as long as you both shall live?" The sacristan gives the microphone to Rico. But there was silence. After a few seconds, Michelle was getting nervous. So the priest was a little disturbed but repeats the question, but in a louder voice: "Do you, Rico, take this woman, Michelle, to be your lawfully wedded wife, to have and to hold, in sickness and in heath, in good times and bad, for richer or poorer, keeping yourself solely unto her for as long as you both shall live?" The sacristan positions the mic, and Michelle was looking sternly at Rico. Still, there was dead silence from Rico. Now, even the guests were becoming uneasy and there were some whispering in the background. The priest became upset because Rico appeared quite normal and wide awake. And so for the third time, the priest turns to Rico and puts his hand on Rico’s shoulder slightly shaking it. So he asks "Do you, Rico, take this woman, Michelle, to be your lawfully wedded wife, to have and to hold, in sickness and in heath, in good times and bad, for richer or poorer, keeping yourself solely unto her for as long as you both shall live?" And then Rico goes like this (shrug shoulder, like throwing up). I... I... Ah... Ahrrrv... and proceeded to decorate the priest’s garments with bits of hotdog, barbecue and some smelly spaghetti. The guy was vomiting everywhere, on the priest, on the microphone and on the sacristan. It was a riot. Needless to say, they didn’t have a wedding kiss at the ceremony. So the lesson there is: guys don’t over do the drinking at the bachelor party. Now, as a well-wisher for the couple, my advice is very simple – and that is communication. Now, as toastmasters, communication is something that we do well or maybe pretend to do well. I’m sure others will advice on the other building blocks of a strong relationship like love or trust or respect. But for me, it is communication. There’s nothing that you cannot resolve without adequate communication. When in doubt, it is better to over-communicate rather than under-communicate. And speaking of advices, at my own wedding I recall the elderly ninongs giving their gems of wisdom and I recall one telling me “oh, don’t ever forget the romance”. It sounded nice, but to me, it was really strange! Hey, I was newly married guy! How could I forget the romance part! It was something I was always eager for! So, I thought probably, that advice would better serve those marriages that are 1 or 2 years down the line or maybe more years down the line. 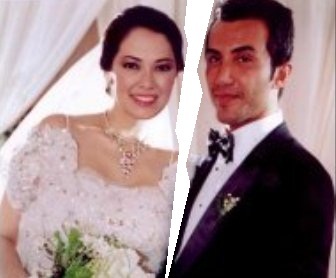 And speaking of longevity, I’m sure you’ve seen splashed on the papers and on the TV news the recent breakup of Ruffa Gutierrez and her husband. These guys have been married in 2003. Four years and two kids later, it was over. Rather sad, don’t you think? I mean this couple had a lavish star-studded wedding. They had sponsors who are honchos – Joe de Venecia, Erap, Loren Legarda, Dolphy, the late FPJ and so many more! Well I’m not a fan of Ruffa. Is there a fan of Ruffa here? Well, I’m sure though that there are those who admire her. But how can you sustain a relationship where one is halfway around the globe? For me, it just reminds us that fortune, fame, beauty and talent don’t necessarily translate to strong and long-lasting relationships. What does translate to long-lasting relationship though is compatibility, plenty of communication and truly working hard for a successful marriage. So, Viviene, my best wishes to you on your Wedding Day and I’m sure you’ll enjoy the rest of the night.